The morion is most commonly associated with the Spanish, although historically, many other cultures and troops also used it. This Economy Morion Helmet reflects the general look of the comb morion, while also possessing its highly protective design, too. Distinctive in its look, the morion is immediately recognizable thanks to the rounded peak, the flared brim with points at both the front and back, and the large comb that adorns the skullcap. Far from decorative, though, these features enhance the morions defense, allowing it to keep the wearer safe from blows and projectiles from above. This helmet is made entirely from 18 gauge mild steel. The helmet comes with an internal liner, and is offered in one size. 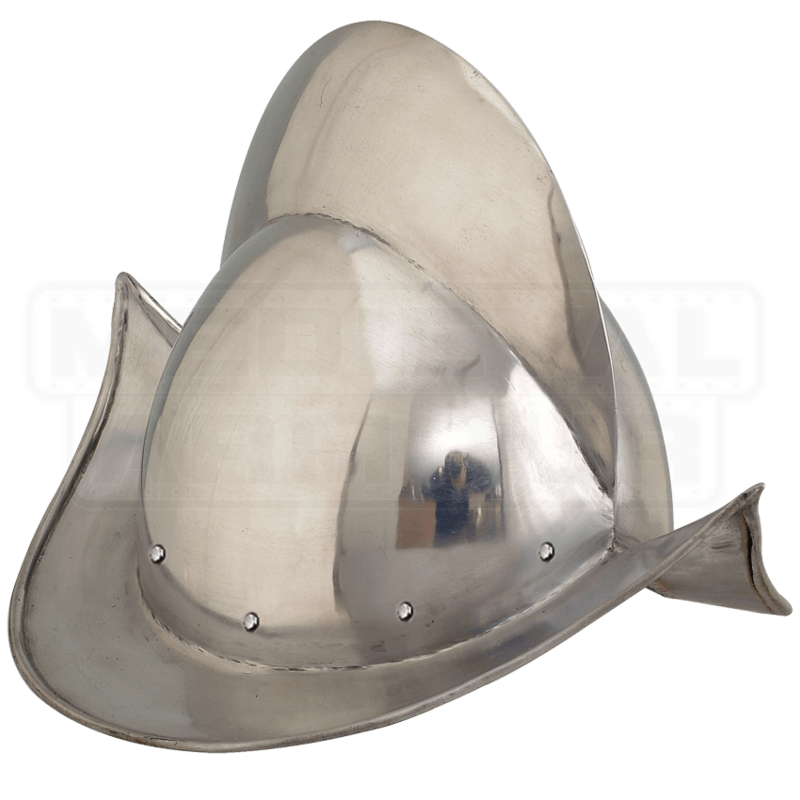 This Economy Morion Hat is from a line of helmets and armors that are designed to be cost-effective, offering the maximum protection possible for the lowest price possible, making each piece a fine bargain to be had, as well as solid protection to wear.